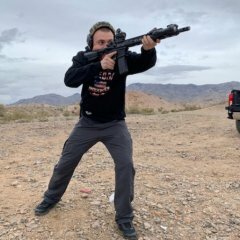 So I've been looking for solid information on how much pressure to put in tires, when moving away from stock tire size or type ("P" vs LT, different load range, etc). I never found anything to-the-point, except I remember someone talking about using GVWR and max tire load to calculate pressure. And I can't even find that post anymore. Anyhow, I decided to make this from scratch: https://docs.google.com/spreadsheets/d/17gh6VmylZWld50XcLvPbQVRRQoRFUZNiqndHQ7jzTb8/edit?usp=sharing It doesn't mean that it's exactly the tire pressure you should use, but I guess it's a good start. I hope it might be useful. Cheers! 2018 Silverado LT to Z71 grille swap? Hello, I’m new to this forum so I’m not sure if this question has ever been posted? I have been looking all over the internet but just can’t seem to find an answer? 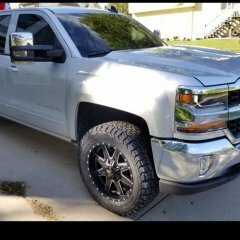 I have a 2018 Silverado 1500 Custom And I was wondering if it’s possible to swap my grille to a Z71 grille? I’m not sure if the Z71 grille is a different shape then my front end? I’m not a big fan of the black honeycomb look being that I’m going for a more sleek all white look. (Need to paint doors and mirror caps) If I can’t swap grills does anyone know where I can buy the grille insterts from a z71 grille? first 2 pictures are of my truck and second is a picture of the Z71 grille I want. Looking at buying a Silverado next week. Went to the dealership and test drive a Z71 crew cab. Compared to my current vehicle, it drove very smooth. Do the rancho shocks make much of a difference in ride quality? Thanks! 2016 Suburban LT Projector Headlamp Vertical Adjustment? 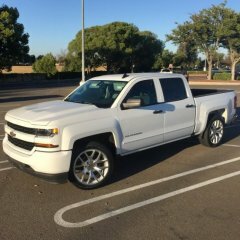 2017 Silverado Lease Quote. Great Deal? I saw an advertisement for a 2017 Silverado LT Double Cab 4x4 for $229/month for 36 month, 10,000 miles per year, $2,000 due at signing. I wanted a higher milage lease so i called around and was quoted $270/month for 36 month, 12,000 miles per year, $2,000 due at signing. They said that after the month of August the incentives will change and those offers will expire. Does $270 sound like a good deal? Also, would you expect the deals to get better or worse as the year comes to an end. I'd assume better as they try to push the 2017 models off the lots for the 2018s. LT 305/55r20 E load rating tire pressure?? I've recently put 305/55r20 bfg ko2 tires on my 2014 silverado double cab 1500 with a 2" front level . I messaged BFG twice and got two VERY different answers when asking the exact same question and telling them my oem tire size/recommended pressure. One rep told me 50 psi and another told me 35 psi. The fact that I got two drastically different responses when giving the exact same question:supporting information, doesn't exactly make me want to trust their answers. I would think most 305/55/20 LT E load tires would have similar (probably not identical, but close enough to get a good ballpark number) load/per psi. I'm wanting to know what others have their 305/55r20 LT E load tires at to experience even/longer term wear. I've currently got mine at about 42 cold, and they seem to go to about 46 warm. It looks like the outside may be wearing a bit prematurely. But the BFG KO2 design may just be weird in that the outside of the tire's "base" of the tread seems to raise up. Any info would be greatly appreciated. Hey everyone! I'm new to this site and just got my 2017 Silverado LT 1500 last week. I did a search on this topic but came up empty. 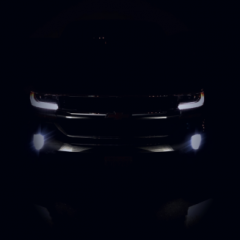 I love the headlights with the LED switchback strip on the LTZ, Z71, and High Country. I was wondering if anyone has tried or considered putting those on an LT package. Are the harnesses the same so it would be a simple plug-and-play or am I just having wishful thinking to think its that simple. If not plug-and-play, what kind of modifications would have to be done (or potential harness replaced) to make these lights work? Let me know your thought, concerns, or problems this upgrade may have. And if anyone has a picture of the wiring harness of the switchback LED strip headlight and could post it so we can compare the 2 to see if they are the same or even similar and what differences there are between the two headlights. Thanks in advance! Here we go. This is my first truck and my first build log. I plan to keep it updated and frequently reply to comments so your input is welcomed greatly! Just a month ago I purchased my first truck and i decided to go with the 2015 GMC Sierra 1500 Denali 6.2L. This build will be meticulous seeing that I want it to be and extremely clean build and possibly a quality show truck. Lets get to the stuff you guys want( The goods/build plans ): 7" Lift - Full Throttle Suspension or McGaughy's 20x12 -44 Fuel Mavericks 35" or 37" Toyo Open Country MT's LED Cubes Mounted in the Fog's Grille Mounted 30" lightbar Blacked Out Tailights Blacked Out Headlights with RGB Halos and DRL's Blacked Out Chrome ( Grille, Trim, ect.) Denali Engraved on the Blinker Roof Rack Tuner Air Intake Tint Exhaust If i ever have enough money - Supercharger I do get some shuttering in the steering wheel and see mostly when I'm cruising above 40mph. the RPM's jump up slightly when this occurs and i was wondering if anyone had any ideas of what this was or if GMC has fixed some of these problems because yes i have read a bunch of forums about such problems. Anything I have for build parts listed above feel free to make suggestions and even help me add to the list! I want to communities input on my build. Thanks so much! Here's a few pictures of it now!